The immersion of our bodies into the hydrating buoyant feeling of a bath is such a healing experience, that so many of us just don’t create time to do. 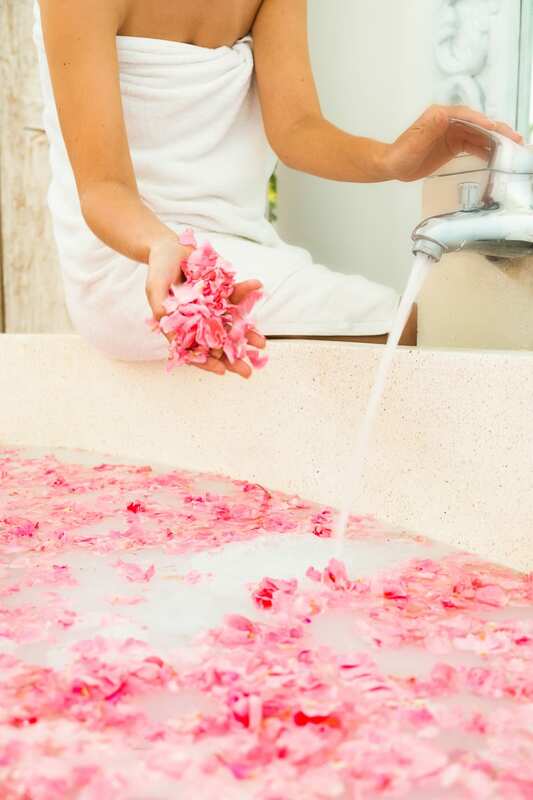 Being a wellness retreat we have designed some amazing Wellness bath experiences and merged them with the healing essences of Bali and cultural and historical beauty and healing rituals. 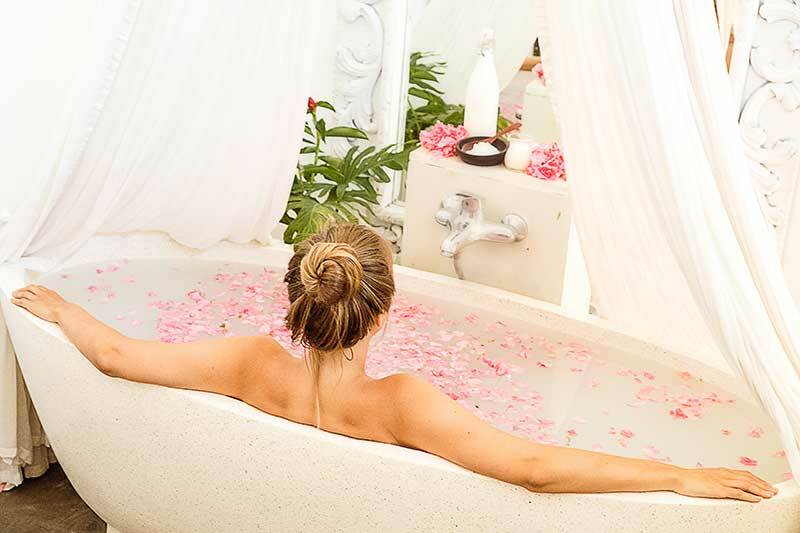 We bring you delectable choices of Wellness bathing for body mind and soul relaxation and connection. 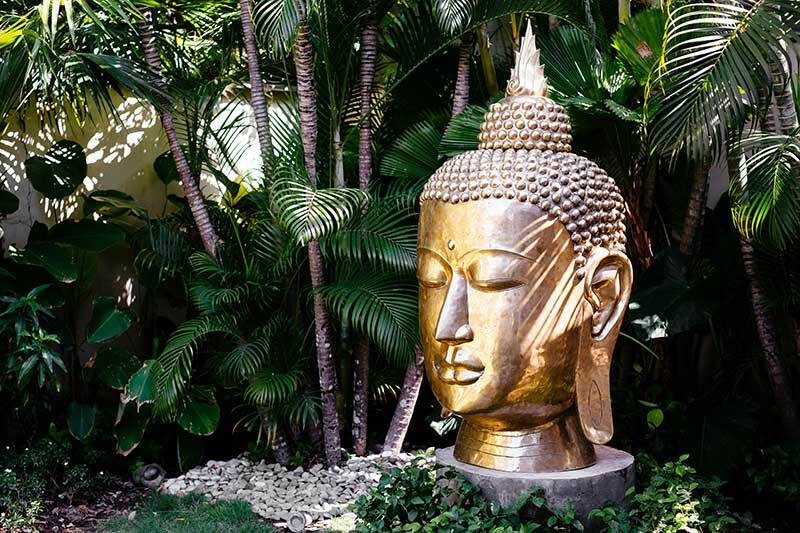 This is a different touch for a Bali Retreat or traditional Health Retreat. 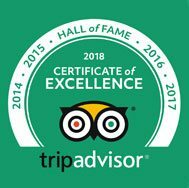 It is something unique to us and why all of our sleep sanctuary rooms have ensuites with beautiful deep comfortable baths. Your private relaxation and healing time. Beautiful Bathing Bliss. In your beautiful stone bath we aim to create a sanctuary oasis of serenity, relaxing that quiet mind, promoting sound sleep, soothing your skin and creating the ultimate relaxation sanctuary. An enlightened feeling of weightlessness waits as you doze to the natural sounds of Bali, all the while experiencing a sensory afterglow and the rejuvenation of mind and body. The perfect way to end your day or create a relaxing, quiet afternoon just for you. 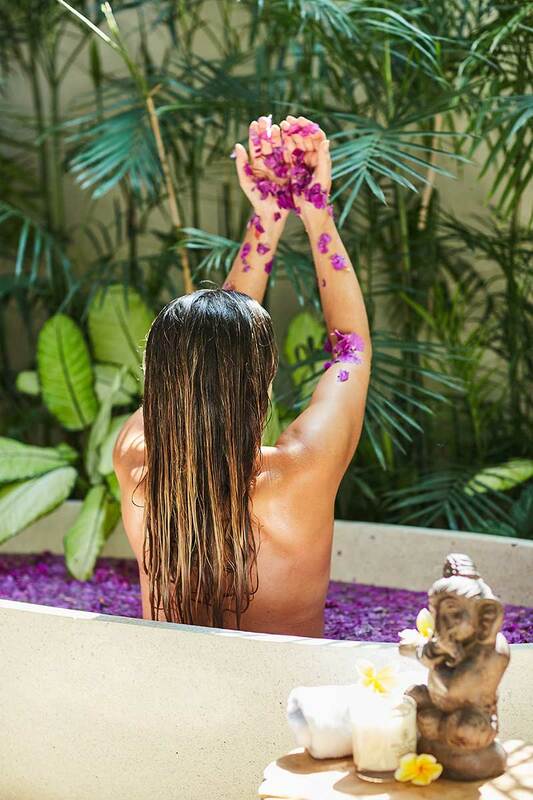 Creating a wellness spa within your own blissful tropical bathroom sanctuary with complete peace and privacy is an amazing way to create self love and self care and promote that wellbeing feeling of complete luxury and deep rest. 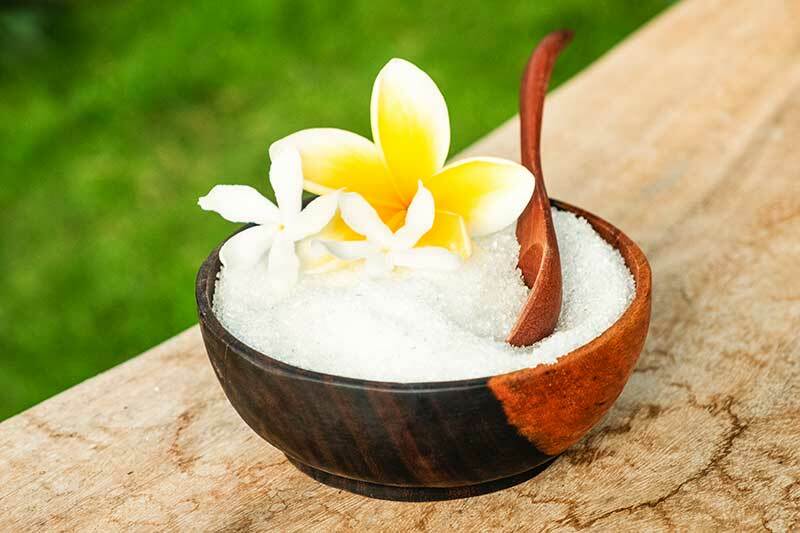 A calming sensory delight with a gentle sprinkle of rose petals to promote relaxation with natural bali bath salts. Smells so good and so relaxing. 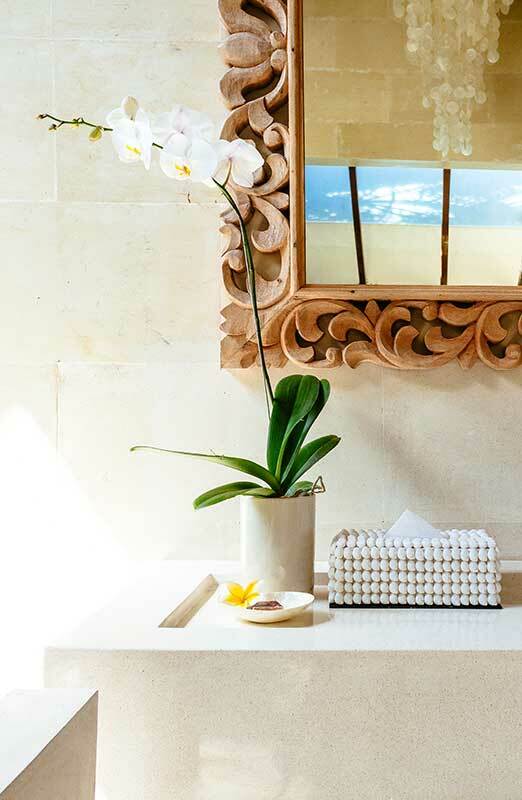 A beautiful luxurious cultural experience, a unique Balinese Flower bath to generate positive energy and beauty. 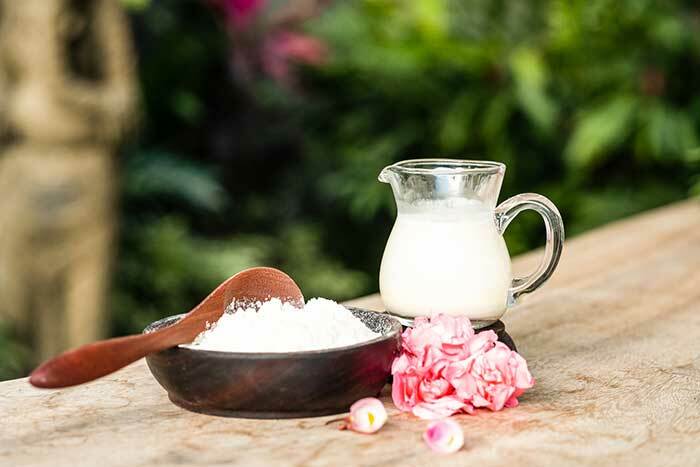 Your skin will be soooo smooth and succulent after one of these where we use a vegan friendly, smooth aromatic white bath powder full of goodies for your skin. 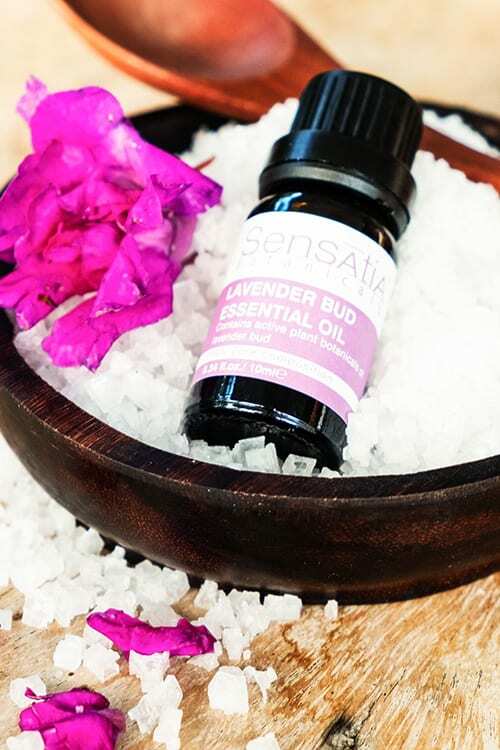 A gorgeous balinese salt & lavender oil bathing mix perfect for deep muscle relaxation with the eye catching beauty of gorgeous purple flowers sprinkled on top of the water. A big ah yes to a deep sleep and great after long flights. 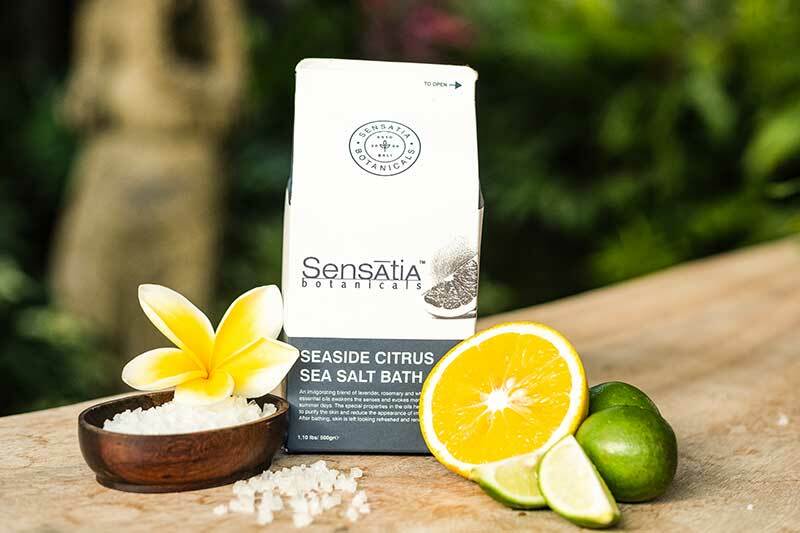 An infusion of Epsom salts & essential oil to detox your worries away before bed to wake up feeling refreshed. We have found the most gorgeous smelling essential oil infused bubble bath. Who doesn’t love a bubble bath! I know my inner child loves them. Gorgeous. 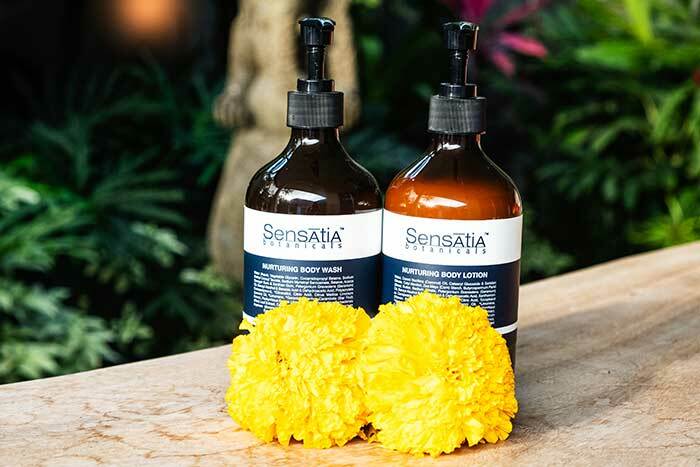 This blend is soothing and relaxing, with a mixture of essential oils and plant active ingredients that moisturises the skin and relaxes the body to promote wellness through relaxation. A refreshing blend of lavender, rosemary and white grapefruit, this luxurious and invigorating bath blend will leave your skin feeling fresh and revitalised. 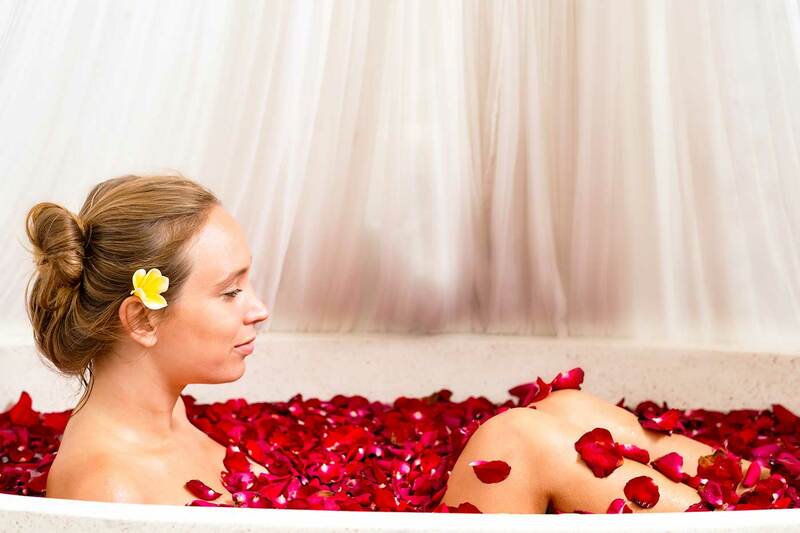 Wellness Baths are available as part of all our Bali Retreat packages. Extra Wellness Baths are part of the below Wellness Retreat Packages.